Mr. Kellaway is an established professional lyric baritone vocal performer in the Southern California area currently singing with the Pacific Chorale and the renown John Alexander Singers. Mr. Kellaway has performed as a featured soloist in Germany, the Czech Republic, Austria, and Italy in conjunction with international choral and solo vocal competitions, and he continues to be a featured soloist with the Pacific Chorale and Pacific Symphony at Segerstrom Center for the Performing Arts. He has also sung with many other prestigious vocal ensembles including Disney’s Voices of Liberty and the Los Angeles Master Chorale. Known for his versatility of style, Mr. Kellaway has performed varied operatic and musical theater leading roles including Count Almaviva in Le Nozze di Figaro, Marquis de la Force in Dialogues des Carmélites, Betto in Gianni Schicchi, Rapunzel’s Prince in Into the Woods, Friedrich Bhaer in Little Women and Captain Corcoran in HMS Pinafore. Recently Mr. Kellaway performed the role of Germont in La Traviata for Angels Vocal Art, and he may be regularly heard on the international broadcasts of the Hour of Power. In addition to his proficiency as a vocalist, Mr. Kellaway has extensive experience in performance support functions such as production, direction, technical support and staging of musical presentations. He has directed vocal groups in the pop, vocal jazz, and barbershop genres and served as assistant director for Biola University’s production of Cosi Fan Tutte. Mr. Kellaway continues as an active studio vocalist, teaches voice, and presents master classes in vocal technique for local schools. 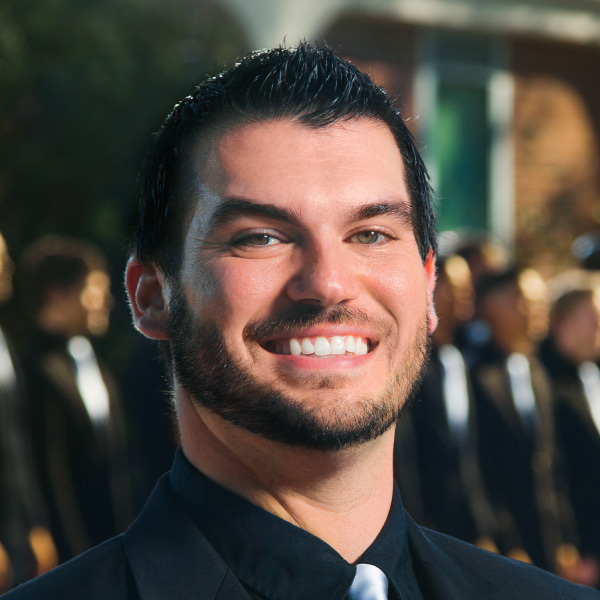 He has been director of the Biola Men’s Chorus since the spring of 2014.